Illustrator Rob Lafratta based in London, imagined a series of illustrations as diptychs entitled Really Super Mario vs Really Super Wario. He chose to represent the iconic rivals of the Nintendo’s, Mario and Wario, by dressing them as iconic comic book rivals. 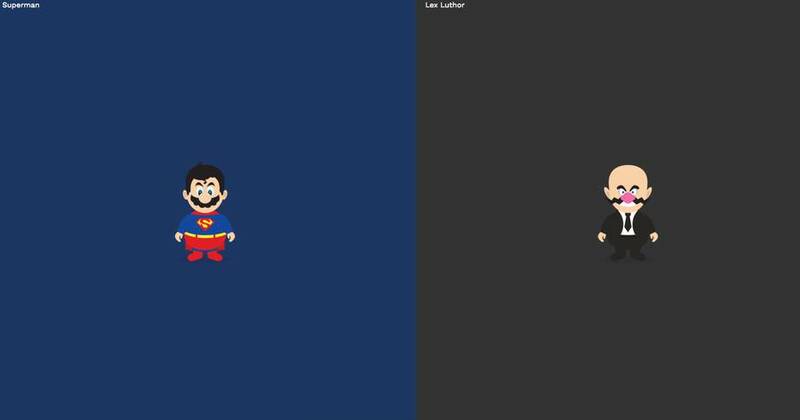 A Super Mario is dressed in Superman and Wario in Alex Luthor or Mario in Superman and Wario in Joker. A littl series that will make Mario’s and comics’ fans happy.